I consider my trip to Palawan particularly to Port Barton and San Vicente as my top travel for 2012. I had high expectations of the place from what I have read on-line and in books/magazines so I really made an effort to visit the place. Lonely Planet described it as "a kind of place where after just a few strolls down the beach you feel you don't want to share this tranquility with outsiders". And it certainly holds true as if I am the one saying it. But Port Barton offers more than just beaches for there are couple of Waterfalls in there that were worthy to explore. 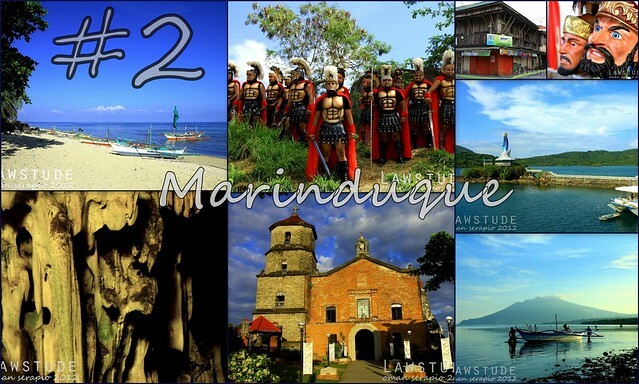 I love Marinduque. Although going there during Lenten Season is a test of patience and endurance, all your hardship will be worth it when you land in this heart-shaped island. From the Moriones Festival to its many adventurous or laid-back attractions, this Island will never disappoint. Wickedly-fun is how I describe Tibiao in Antique. 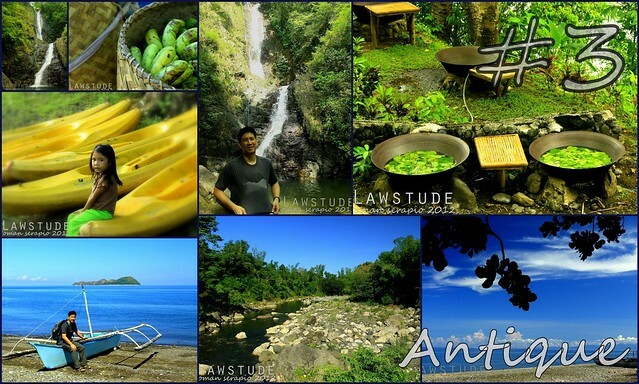 I immensely enjoyed my trip there and had fun in the river and in Bugtong Bato Falls. But the highlight of my trip there would definitely be the Hot Kawa Bath where I bathe in a hot kawa full of herbal leaves while an actual fire is underneath resembling a captured human meal just about to be cooked by tribal cannibals. 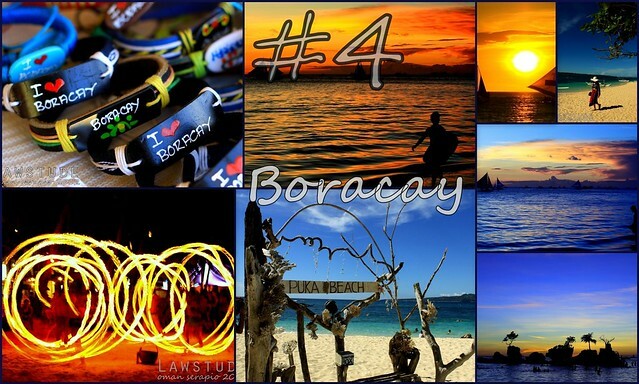 Boracay was on top of my list a couple of years back and every visit here truly deserved to be in every Top 10 lists by almost everyone. For one, it is dubbed the best Island in the World and it will not have that monicker if it does not have perfect sunsets every day, gloriously long and fine white sand beaches and party-people occupying almost any available space on the beach front. Tabuk is famous for its mighty Chico River. But on this trip, I never did any water-related activity but just enjoyed the sweeping view of the mountains and the river that runs through it. Just a little under an hour hike on its Tourism Park will enable you to have a bird's eye view of Tabuk and its neighboring vicinity. 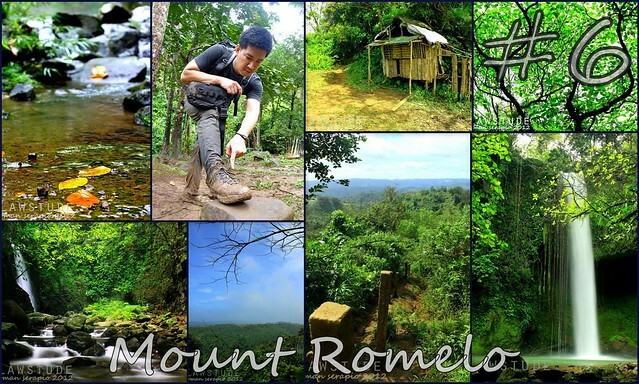 Because of an impending storm warning, the trip to Mount Pulag was cancelled and diverted instead to Mount Romelo in Laguna. Although the climb up there was made tedious by the muddy path, the scene once you reach the camp place is pure nirvana. A couple of amazing Waterfalls also awaits those who persist. The scenic crater and the stunning landscape created by easily eroded lahar flow is just half the fun of this trip. 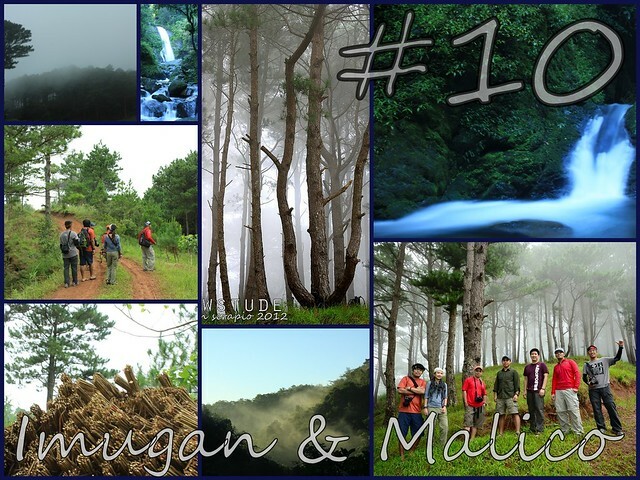 The other half is provided by the experience of traveling with more than a dozen Pinoy Travel Bloggers Bagets. This was my first time to travel with such a big group and that it was awesome to finally matched a face with a blog. 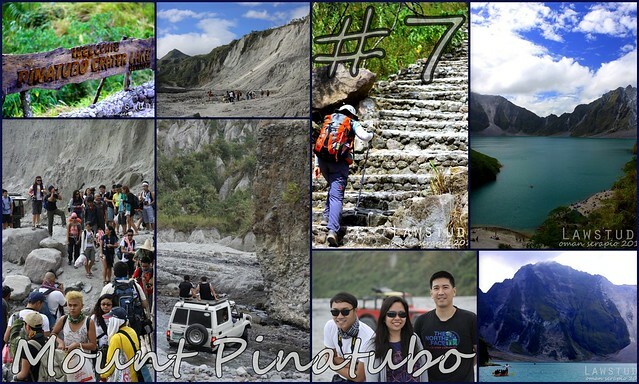 The Penablanca trip was one of the last trips I made for 2012. There are more than three hundred caves in this laid-back town and the Callao Cave is the most famous and most visited among them. Callao Cave is reached by walking up 184 steps and several sinkholes illuminate the cavernous chambers, one of which houses a little chapel with pews and an altar. 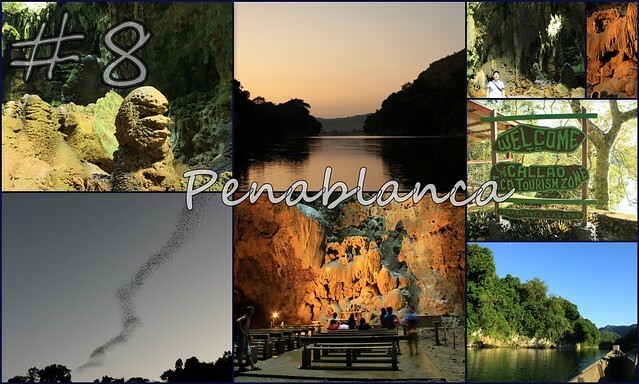 Also worth experiencing is to witness thousands of bats pour out of the caves for a flight over the Pinacanauan River at dusk. 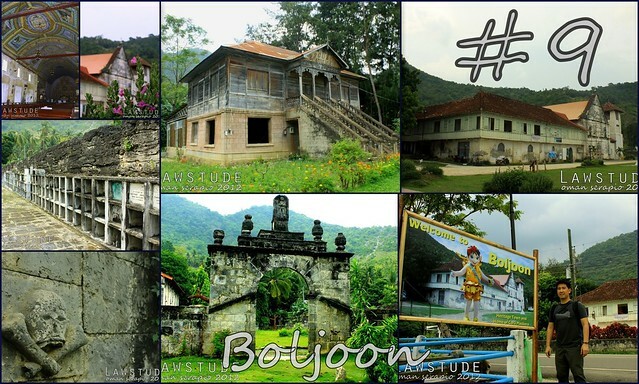 A trip to the heritage town of Boljoon in Cebu is an awe-inspiring experience because you can't help to be grateful and appreciative of the efforts that the locals there have put up just to preserve the place. From the century old Boljoon Church to the old houses and structures within the area, it seemed like you travel backed in time. This is a good example for the rest of the country to learn of how a heritage site should be preserved. 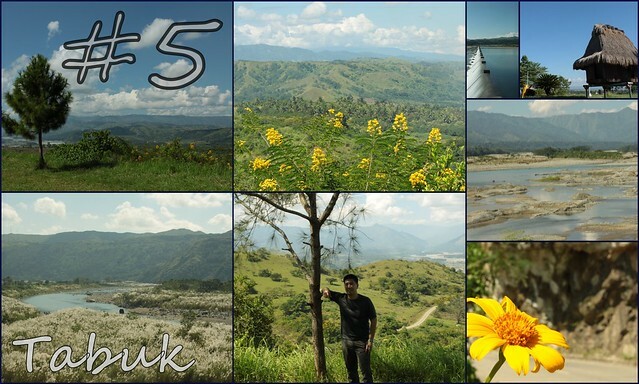 This is more of a re-union trip with my best travel buddies done in one (make it two) of our favorite places in Nueva Vizcaya. The nature-at-its-best Imugan remained to be the same the last time we have visited it with its Waterfalls as clean and refreshing as ever. The Malico Pine Forest also remained people-less and as eerie (in a safe kind of way) as the last time we were there. What beautiful places you have visited in the past year, Oman!! Thank you so much for sharing your travels with us through your beautiful photos!! They are the next best thing to being there myself! Hope you've had a great weekend! My lolo who was raised by his parents in Tibiao, Antique brought me there when I was a child. There were times I'd go there for vacation, sleeping overnight at my grandmother's house, but I never get to enjoy what you have enjoyed thus far. By all means, I'd go visit Tibiao once more. I have been following your blog all year and you have not yet featured Port Barton right? Anyways, looking forward for your posts there. Yup. Not yet featured, I am looking hopefully for a February feature. 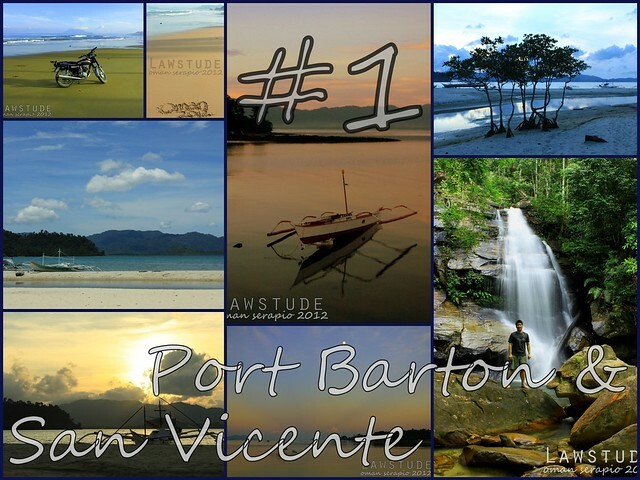 Is Port Barton a part of San Vicente? It used to be part of San Vicente but now it is a town on its own. Do you still work? Tatlo pa lang sa list mo napuntahan ko. Wow,so many places visited. Can't wait to see more. Congratulations. was a great year for travel and exploration. wow our place, nueva vzcya is included. Travel-packed year. More travels for 2013. Yup, I agree with you. I also consider Tabuk and Boljoon as traveller's haven. Tabuk for nature tripping and Boljoon if you want to experience a blast in the past.